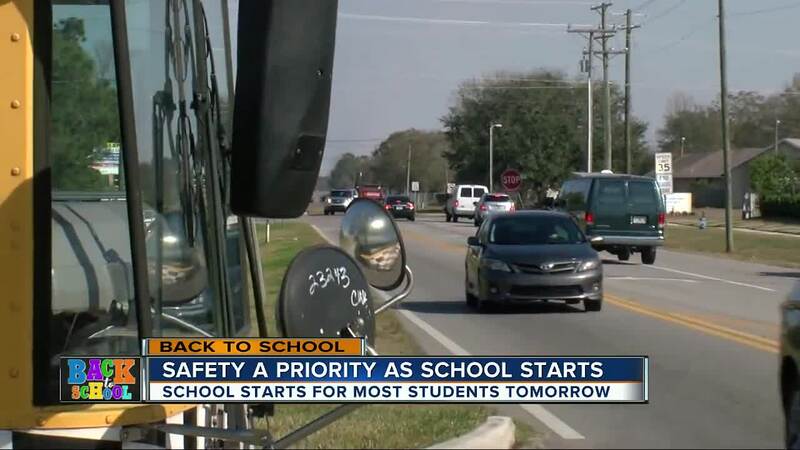 CLEARWATER, Fla. - Students across Tampa Bay region will start the new school year Monday. Many parents may be thinking about safety after a shooter killed 17 people in Parkland last school year. Since the shooting school districts across the state improved security on campuses. While various agencies worked together on enhanced security measures, officers want the community to remember you need to keep your eyes open, too. If you see something, let them know immediately. “Get us involved. Get us involved early so we can take the appropriate action,” Clearwater Police Dept. Lt. Michael Walek said. Lt. Walek said people should respect school zones, buses, crossing guard. They want children to pay attention too and use crosswalks. They want to make sure drivers are not distracted either. “Watch out for those new kids going to school. Watch out for the school bus drivers that are just learning the routes for the first time. Pay attention to everything,” Lt. Walek said. Erin Pierce is leaving early Monday to drop off her daughter at school. She starts 6th grade on Monday. “I imagine there will be some delays getting back to the routine…. (figuring) out the routes and such,” Pierce said. She knows it will get easier deeper into the school year. 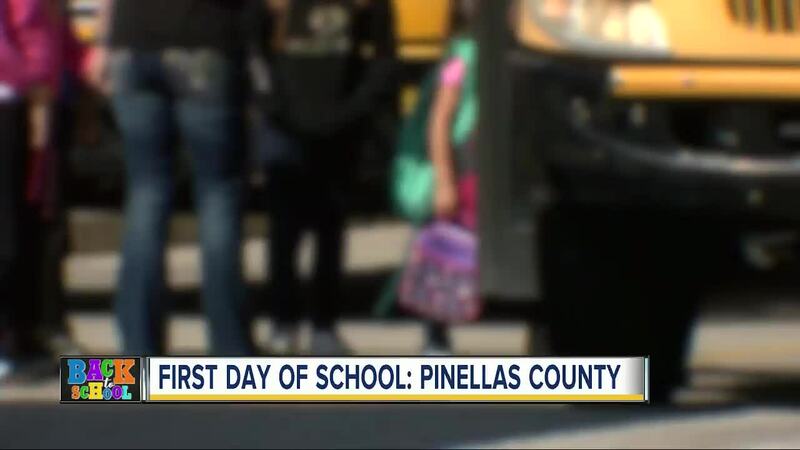 “Excited and a little bit anxious for them, but I know they’ll do fine, and it’s that first day….settle in…(and) get through the routine,” Pierce said. Lt. Walek said their department is enhancing its operations the entire first week of school. “Tomorrow (is) a huge day,” Lt. Walek said.